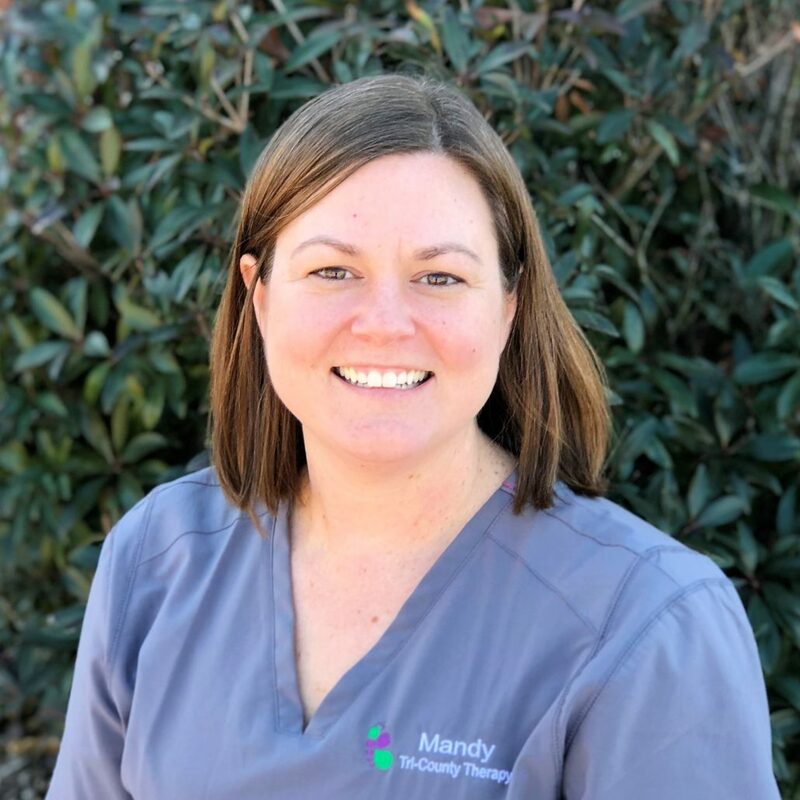 Mandy earned her Bachelor of Arts degree in Speech Pathology from Columbia College and her Master of Arts degree in Communication Disorders from Appalachian State University. She is a member of the American Speech-Language Hearing Association (ASHA) and the South Carolina Speech and Hearing Association (SCSHA). Mandy has experience in the school setting working with children at the preschool, primary, elementary, and middle school level as well as early intervention in the private setting. Mandy is married to Wes and they have 2 kids, Charlotte and Clay. She enjoys spending time with her family and their puppy, Whit.